I have to admit that I used to feel pity when I saw someone who was visibly disabled. Then I found out that my own daughter was going to be born without fully formed arms. I went down the guilt road, believing that it was somehow all my fault. 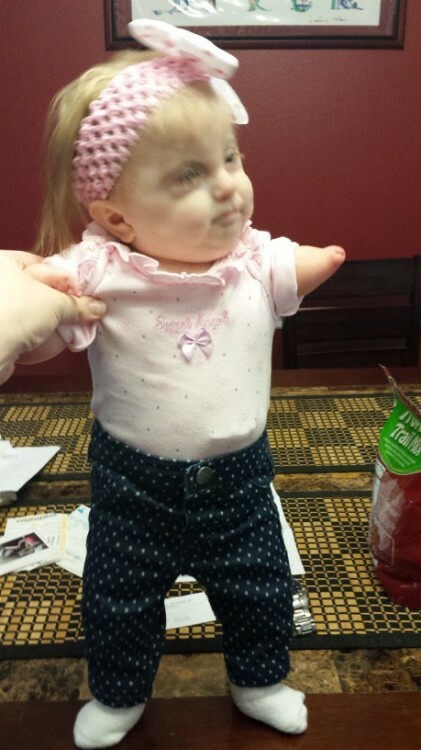 Then when she was born, we found out that not only were her arms different, but that she also has a rare genetic disorder that causes delayed development. She would be extremely small for her size. I continued down the path of feeling sorry for myself and guilty for way too long. Then after all of the struggles, the tears, the sleepless nights, and the wondering what her future could really be, she smiled at me. It took six months for her to smile, but something so simple held so much promise. Now I had loved her since we found out about her, do not get the wrong idea about that! But a small tiny smile made my whole world change again. That was when I knew she didn’t give up on me, so I could never give up on her. She made me strong and I was not going to let her down. I was not going to give up on her and I was not going to let her give up on herself. 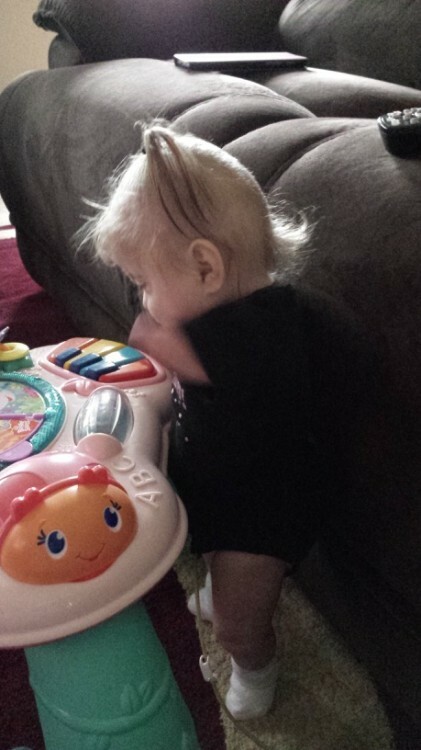 We were told by doctors that “normal” for her would be sitting up by age 2 or 3, and that if she ever did stand or walk, it would be years after that. Well we decided that their normal was not an option. She was stronger than they gave her credit for and, well, a syndrome is more of an overview, not a blueprint of how each child must act and grow. After many days with PT, OT, and ST, she has thrived. Sitting up alone on her first birthday and standing with minimal assistance shortly after. Now at a little over a year and half old, we are working on standing alone and even taking steps, with a little balance assistance. She is still tiny, mind you: 10 pounds at 21 months and only 22 inches tall. She has learned to do things her way and with minimal help from us, and she plays with her toys and knows how to get your attention very quickly. Now I get irritated when people tell me they are sorry or feel bad for me. For WHAT?? You feel bad because I have an amazing, one-of-a-kind angel I get to play with and snuggle with every day? I feel sorry for all of them because they don’t! Instead of feeling guilty, I feel that I was blessed to be chosen to be her mommy. I was given my personal angel to hold and keep with me. This is my little love, my Bella Marie! Virginia’s daughter, Bella, was born at 32 weeks with Cornelia de Lange syndrome, a rare genetic syndrome that affects her arms, hearing, growth, development and feeding. She’s now a happy 18-month-old and learning something new every day.